I'm up in Beijing again for a quick trip, and this time around I actually get to have a couple of decent meals. I was chatting with Mr. QLI about the potential candidates, and in the end he suggested that we hit Family Li Imperial Cuisine (厲家菜). While there are several branches of the restaurant in the city, curiously, one of them is a long way from the city center. In fact, it's not far from Beijing Capital International Airport. Mr. QLI told me that this particular branch, named 蘭庭厲家菜, is where Chef Li Xiao Lin (厲曉麟) - the second generation owner - cooks. Apparently the location is close to his home. I arrived to discover an empty restaurant in a quiet shopping mall, and Mr. Li chatting with Mr. QLI in one of the five private rooms. We seemed to be the only diners tonight, which wasn't too surprising giving the restaurant's location. I dropped my luggage, apologized for arriving a little late, and was introduced to Mr. Li. 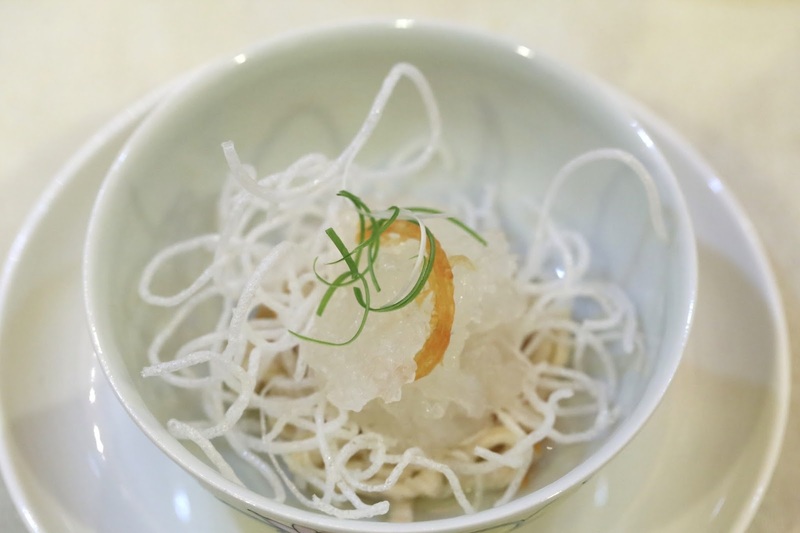 I had had my first taste of their cuisine at their branch in Taipei last year, and had been curious about what it would be like at to eat in Beijing. Well, I did better than just eating here... I got to meet and chat with him. Everything seemed to have been arranged, so I just sat back and waited to see what came our way. 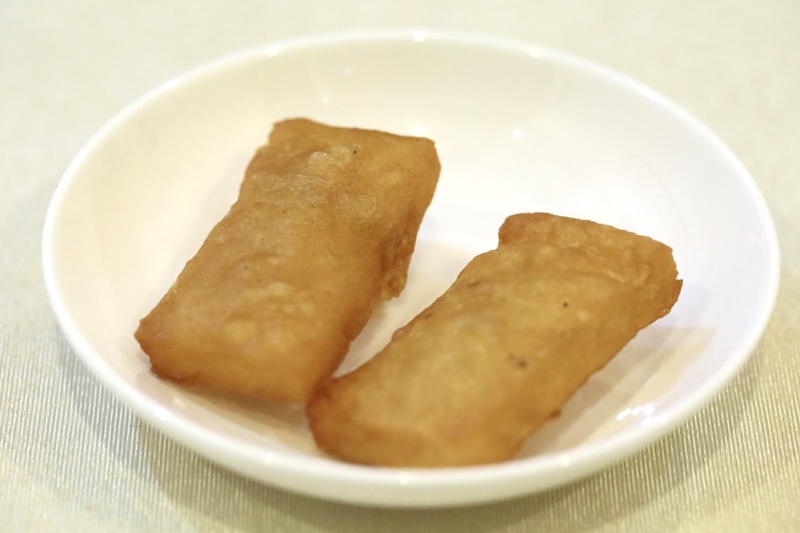 Fried beancake (炸咯渣) - these were interesting, because they were crispy on the outside but soft on the inside. Similar to gaozha (高渣). Pretty old school and dipped in some garlic-laced soy sauce. Deep-fried cod (椒盐银鳕鱼) - pretty good. I do love the texture of cod. 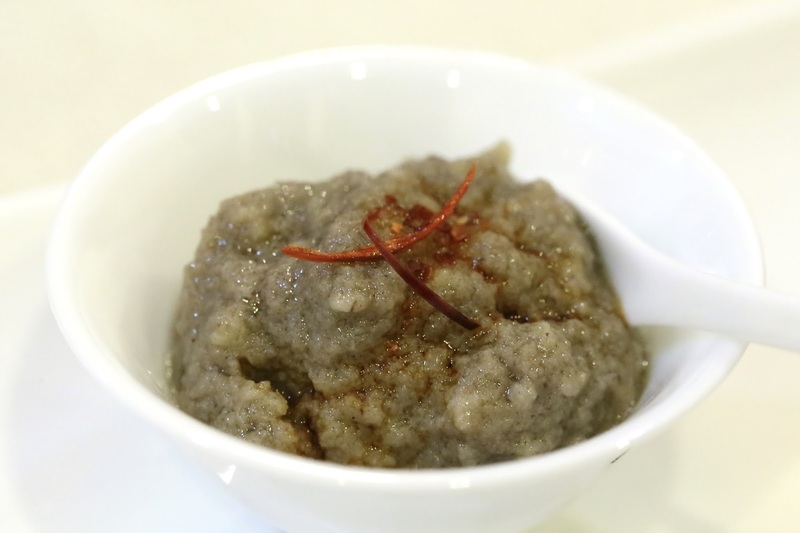 Mashed green soy beans with minced scallops and ginger (翡翠豆腐) - one of the dishes I've tasted before in Taipei. That little bit of chili oil helped pick up the flavors. Beijing smoked pork (北京燻肉) - a little better than the slice I had in Taipei, with nice and smoky flavors. 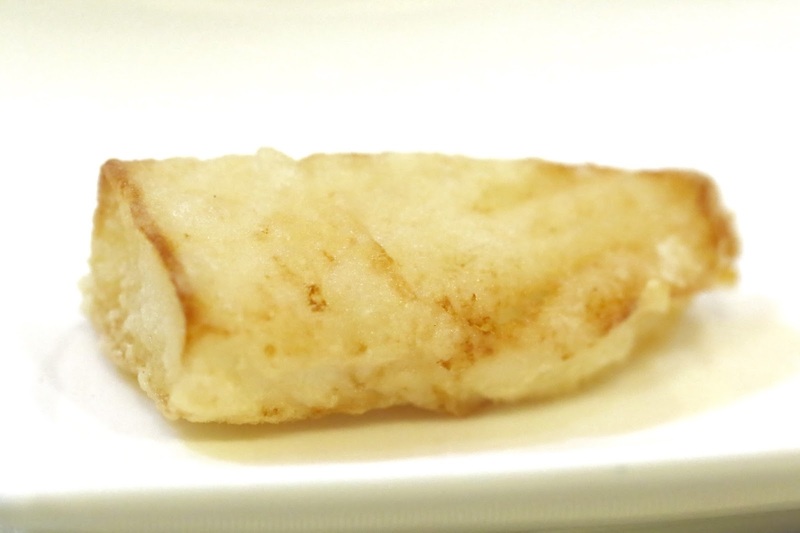 The deep-fried wafer of crispy dough added some crunch. Steamed soup with minced pork stuffed in clam (青蛤丸子) - these were pretty nice. The Venus clams these days are no longer wild, and are harvested within the year, rather than the 3-year old wild ones that are double in size. Stewed beef pan-fried in spicy sauce (麻辣牛肉) - the beef was battered and then browned in the pan, before brushing on the spicy mala (麻辣) sauce. Nice collagen in the beef. 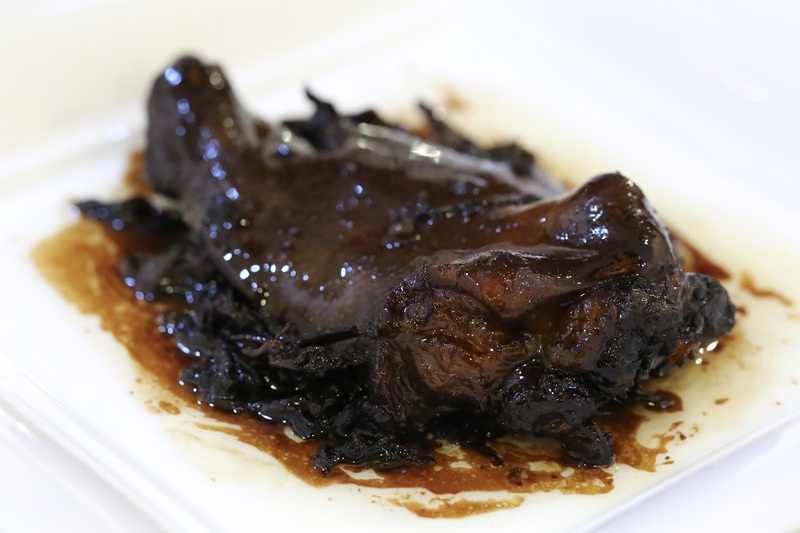 Stewed pork rib in sweet and sour sauce (糖醋排骨) - this is always good. Very soft and falling off the bone. Duck with shrimp paste and sesame (芝麻鸭子) - the duck was good, but the shrimp paste had a surprising amount of bounce on the bite. Yum. 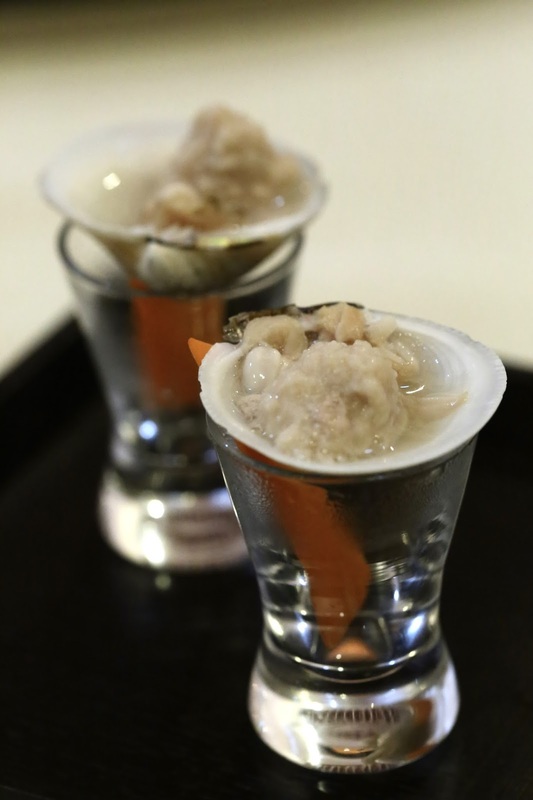 Steamed snowfrog oil with egg (清蒸蛤什蟆) - nice to see hasma on the menu, even if I'm not a huge fan. 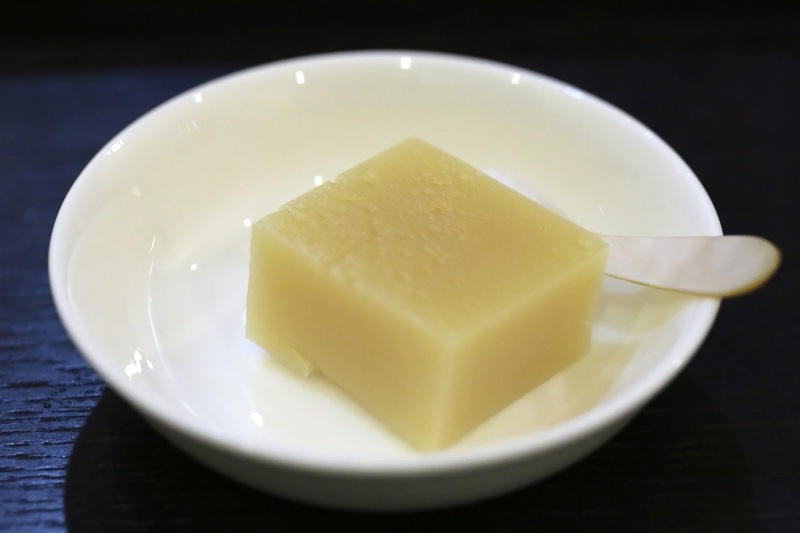 Fried mung beancurd (炒麻豆腐) - another local Beijing specialty. 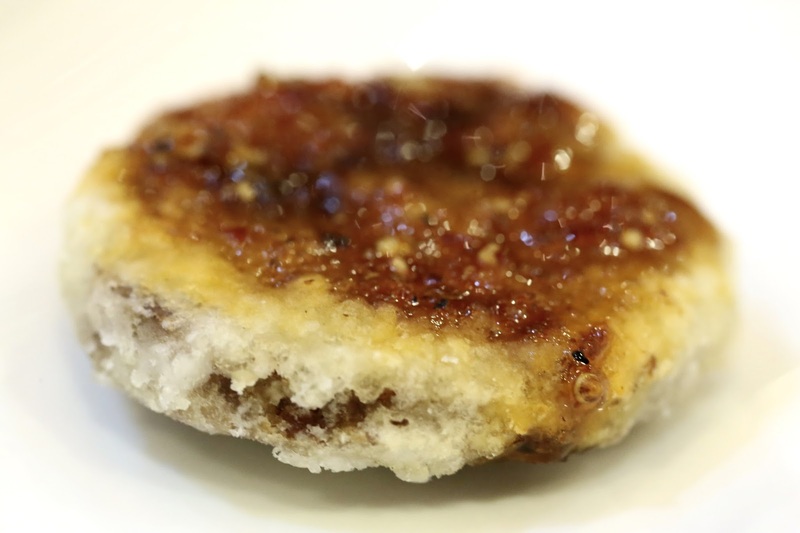 Baked sesame bun with roasted pork (炉肉烧饼) - the pork belly in the middle was nice and crispy, especially the crackling. 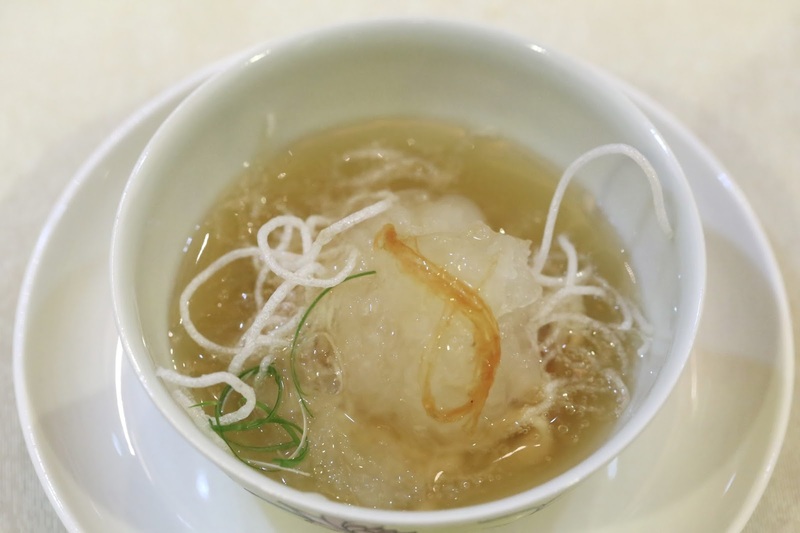 Bird's nest in clear soup (燕窝野意银丝) - a little pile of bird's nest sits on top of a bunch of deep-fried mung bean vermicelli (粉丝). At the bottom is actually shredded pheasant, although the birds are farmed and not wild. Curiously, the broth tastes a lot like the sauce used in Cantonese steamed fish - minus the soy sauce. 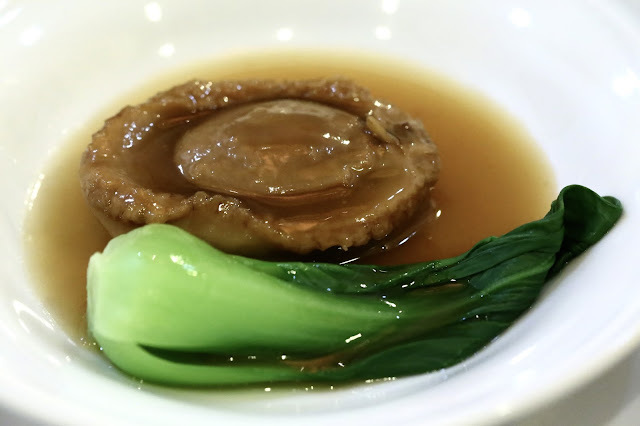 Braised abalone (原汁鲍鱼) - only dried abalone from 3 sources for Chef Li, and all are 吉品鮑 from Yoshihama (吉浜) in Iwate Prefecture (岩手県) in Japan. I can't claim to be an expert on abalone, but what I had tonight was very, very good. Lobster with Beijing flavor (京味龙虾) - the Boston lobster was lightly coated in starch, which I wasn't a fan of even when I had it in Taipei last year. 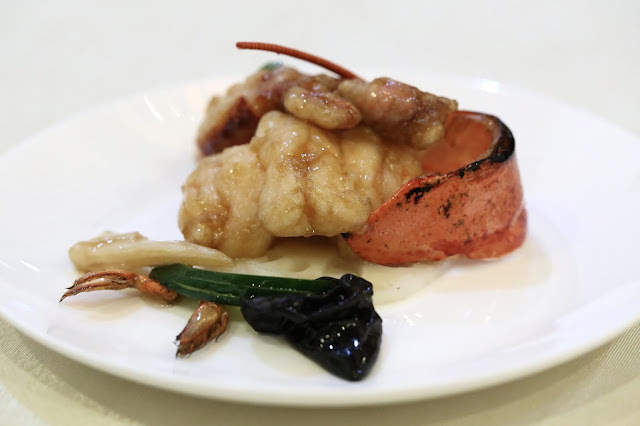 Chef Li explained that while lobsters weren't part of the 'imperial cuisine' inside the Forbidden City, he likes lobsters so much that he decided to put them on his menu. 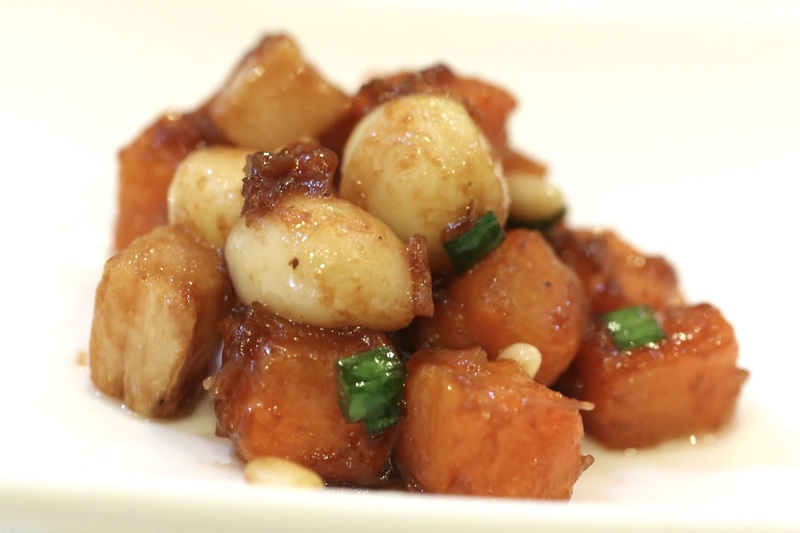 The "Beijing flavor" comes from the sauce that had a little sweetness on top of being savory, which was used in shrimp dishes in imperial cuisine, so he's substituted the key ingredient. I was a little surprised to find that the slice of bamboo had been pickled. Braised deer tail (红烧鹿尾) - now THIS was a treat, as neither of us had ever eaten a deer's tail before. In fact, the only time we've seen the tail of a deer have been the dried versions in Chinese medicine shops. We were told that fresh ones were hard to come by these days, and that he prefers ones from sika deer (梅花鹿) - and he can't find suppliers for his Taipei branch. Traditionally in Chinese medicine the deer's antlers have always been prized for their "yang" while the tails have been sought after for their "yin", so the latter have been used to boost male virility and treat any deficiencies in that department. Here it's braised with preserved leafy mustard (梅干菜), and the flavors from the preserved vegetable was clearly evident - and reminds me of mom's braised pork belly cooked the same way. 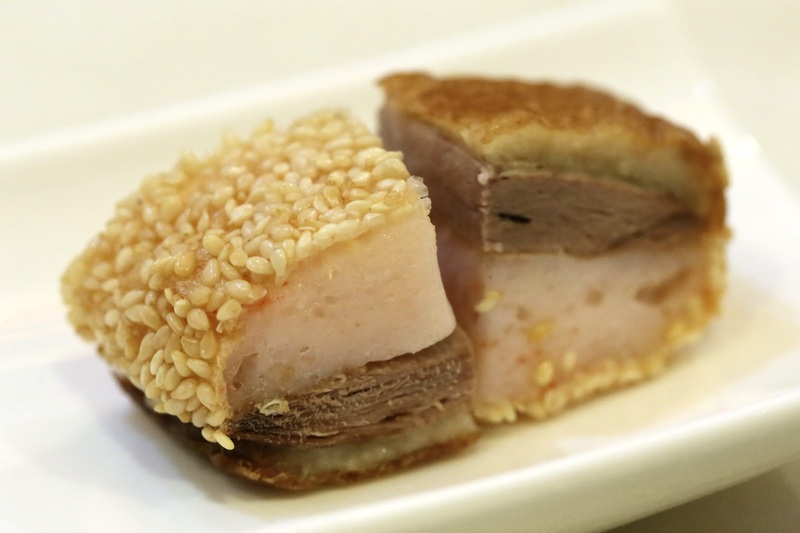 Chef Li explained that underneath the skin, part of the tail consists of a type of gland which, when cooked, gives a texture and taste similar to that of liver. And it certainly tasted like it to me. In fact, this whole dish was very delicious, and perfect over a bowl of rice. I felt like I was home eating mom's cooking, except there was a more exotic ingredient on the plate. 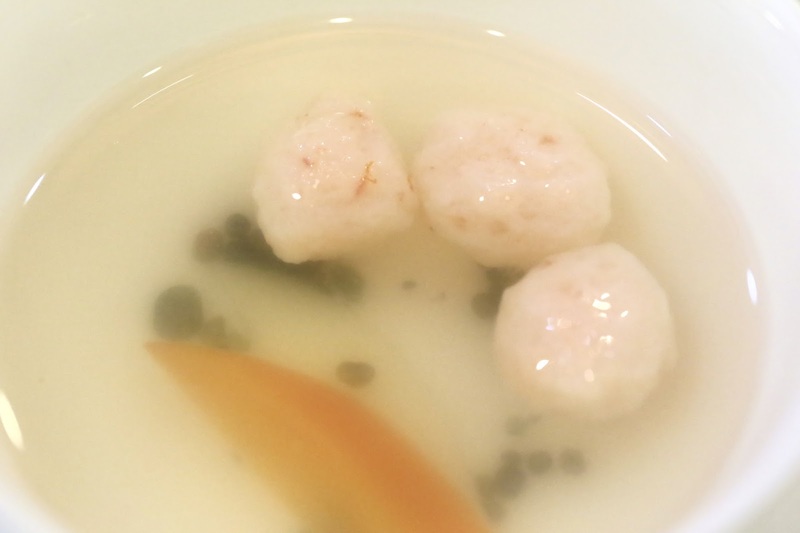 Shrimp ball soup with gexianmi (葛仙米鲜虾丸子汤) - the most interesting ingredient here is the gexianmi (葛仙米), a type of freshwater algae which grows like a stand of pearls. Apparently the wild algae only grows in unpolluted waters and nowadays come from waters between Hubei (湖北) and Hunan (湖南) provinces. The origins of the discovery and use of the algae traces back to the Taoist scholar Ge Hung (葛洪) in the 4th century A.D. - for whom this is named. Legend has it that Ge Hung sent this as a tribute to the palace, and the crown prince's health was restored with it. Nowadays scientific analysis apparently revealed that it contains a multitude of amino acids and minerals. Anyway, it was kinda interesting. This particular type of algae was pretty small, and really was about the size of a grain of rice or smaller. And it definitely tasted a little like algae. 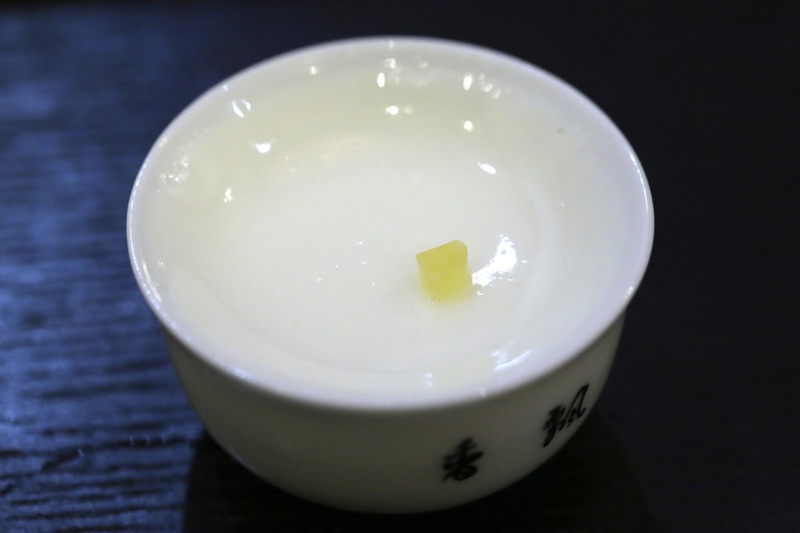 Fresh milk yogurt (奶酪) - pretty nice and light. 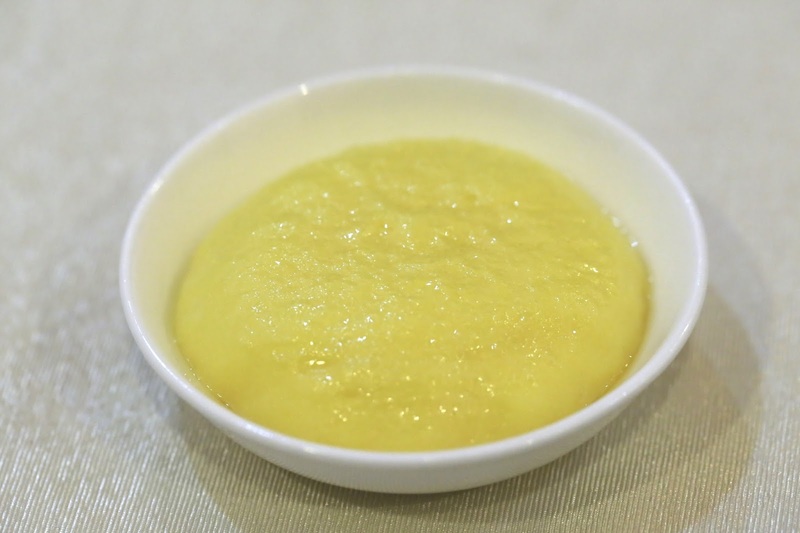 Fried egg custard (三不沾) - this is always interesting as, befitting its name, this sticky blob actually sticks neither to one's teeth, the wok, nor the plate. Mr. QLI very generously brought a lovely bottle of dry German riesling. I don't see this enough so I'm especially grateful to him. 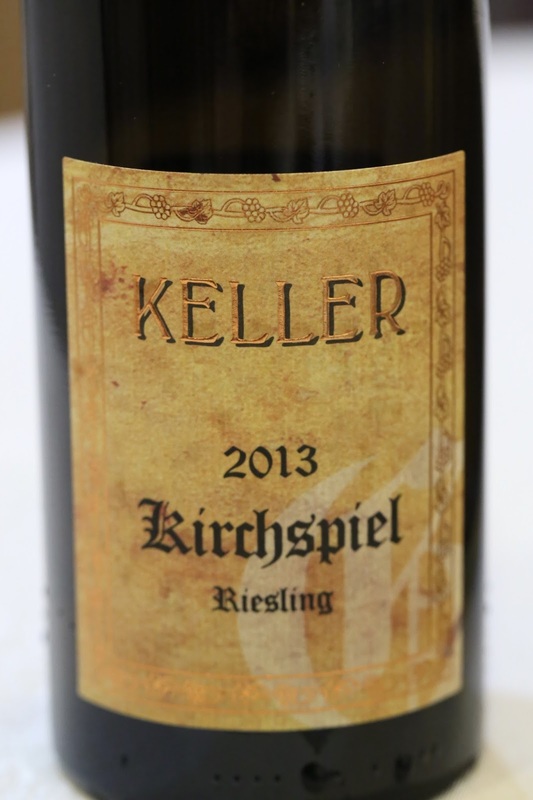 2013 Keller Westhofener Kirchspiel Riesling Großes Gewächs - nice and ripe, sweet on the nose. Very floral with honey notes. Dry on the palate. A lovely wine. We asked for the bill, but no one came back with it. Chef Li looked happy to just send us on our way home - probably so he could go home and call it a night - and it seemed a little rude to insist on paying. So I ended up having a 霸王餐... and felt a little bad about it. I did remember to thank Chef Li again via email, and extended an invitation to him for dinner on his next trip to Hong Kong.